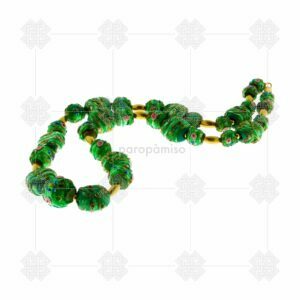 The Sasanian Empire, also known as Sassanian, Sasanid, Sassanid or Neo-Persian Empire, was the last Iranian empire before the rise of Islam, ruled by the Sasanian dynasty from 224 CE to 651 CE. 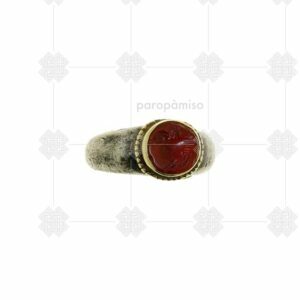 The Sassanid Empire, which succeeded the Parthian Empire, was recognized as one of the main powers in Western and Central Asia, alongside the Roman–Byzantine Empire, for a period of more than 400 years. 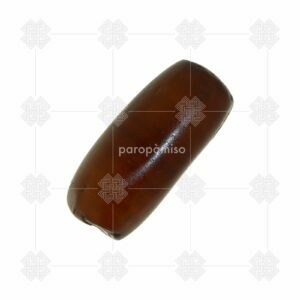 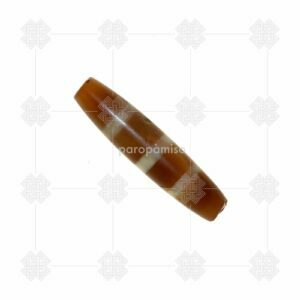 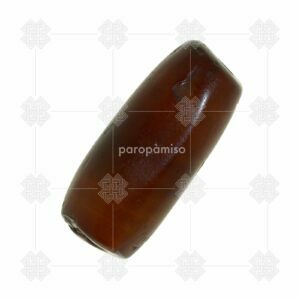 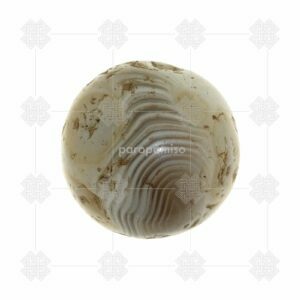 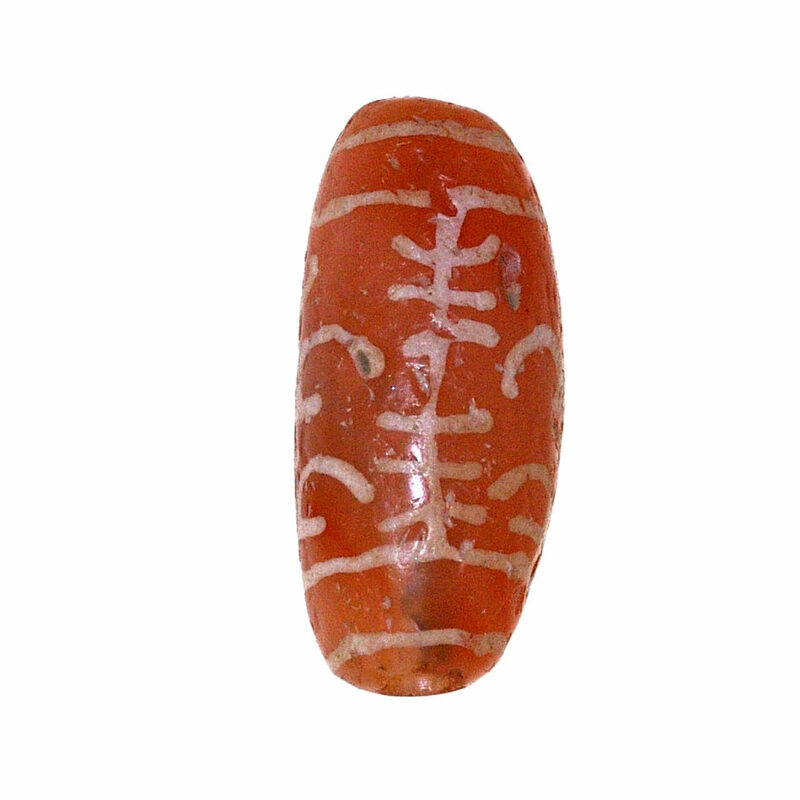 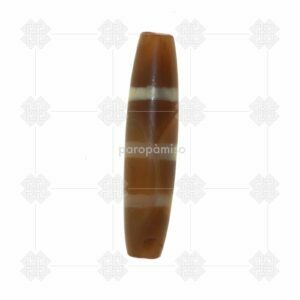 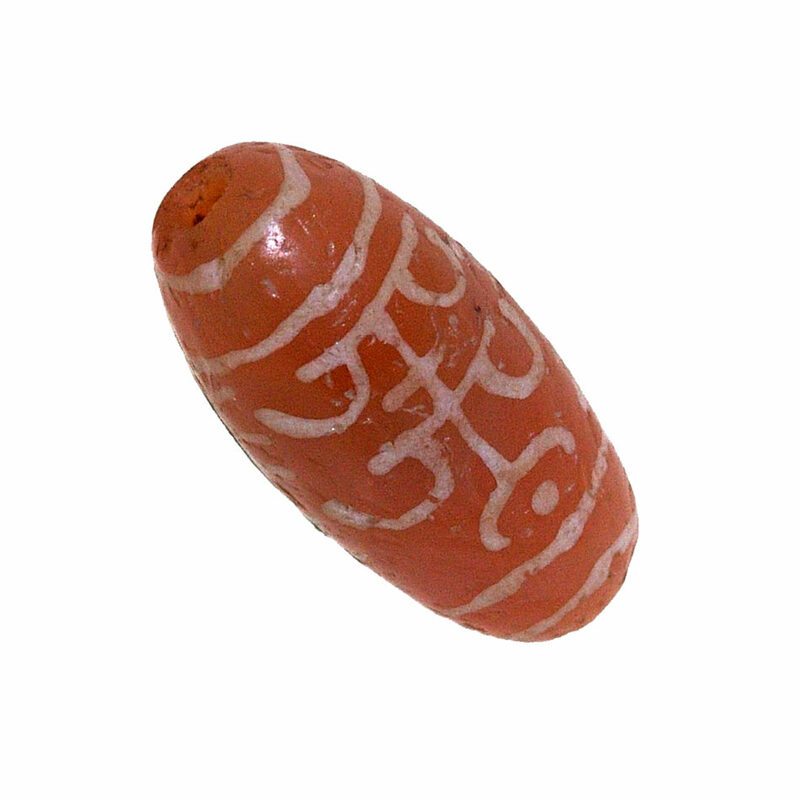 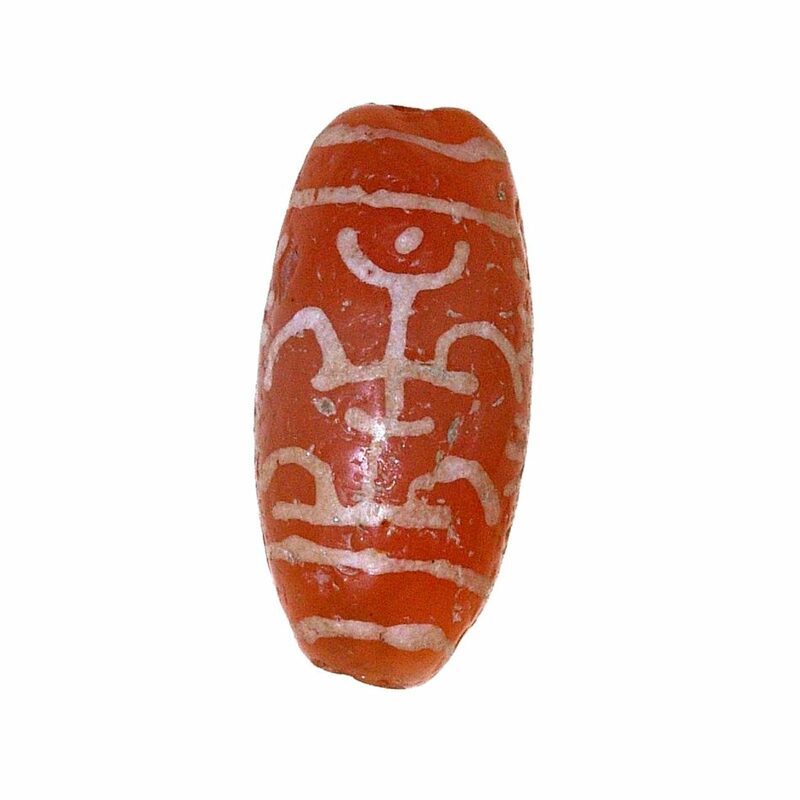 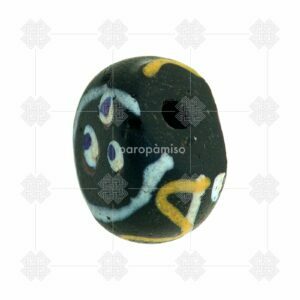 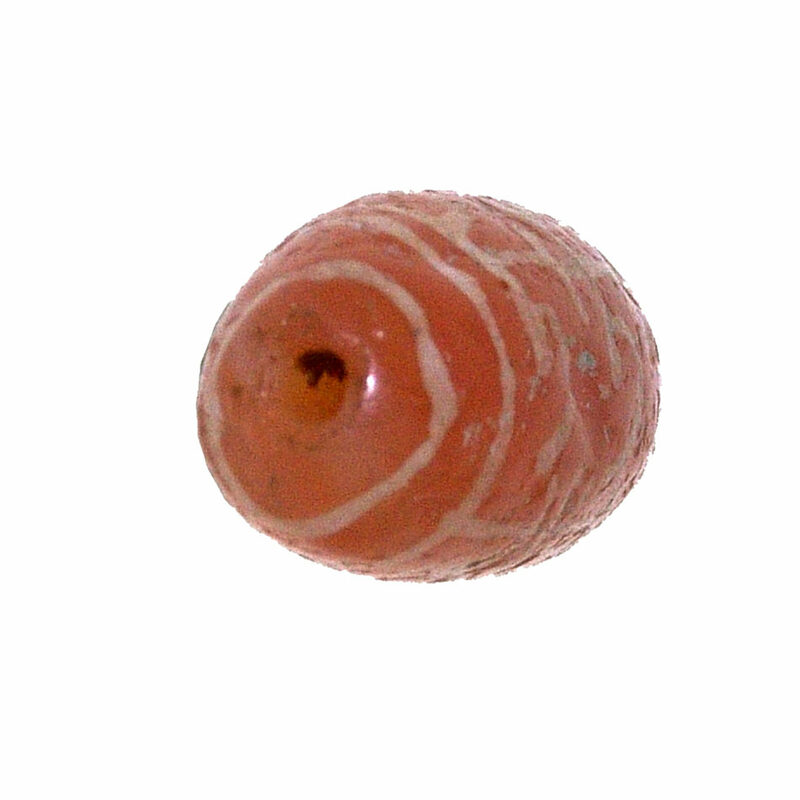 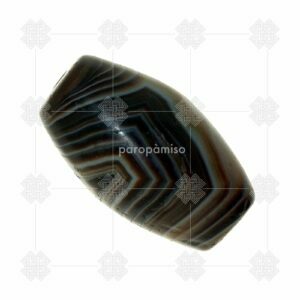 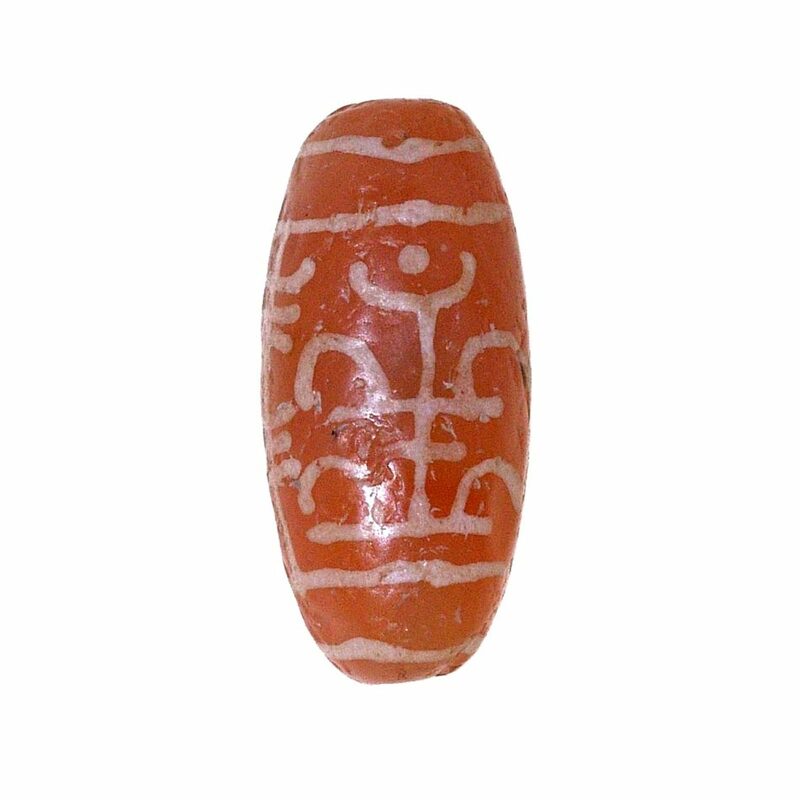 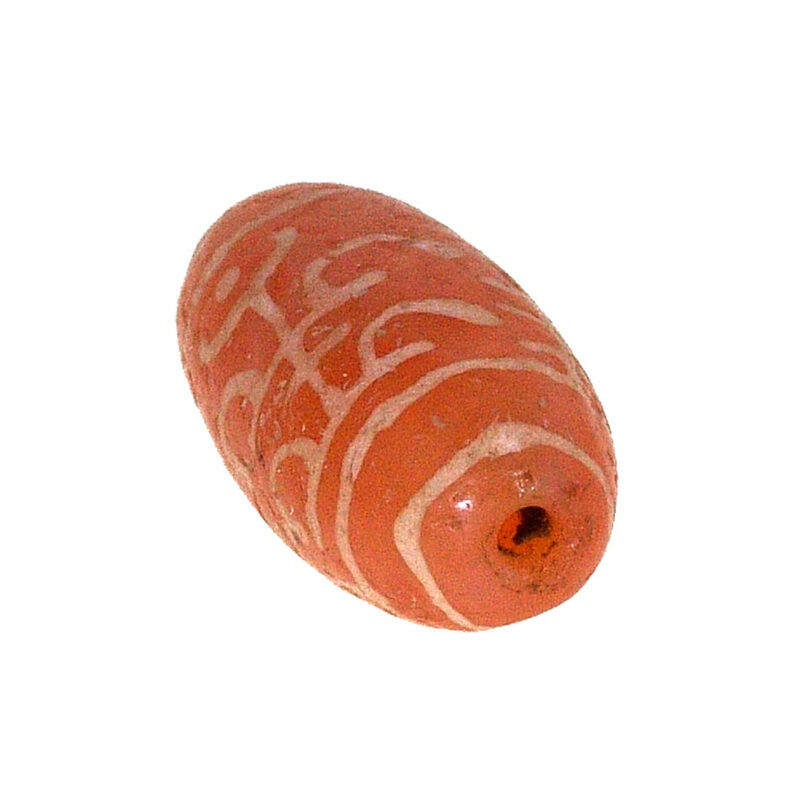 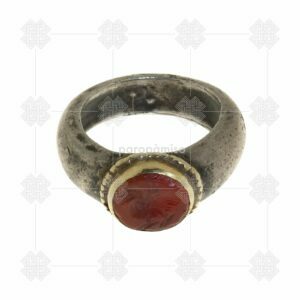 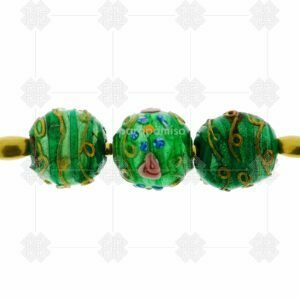 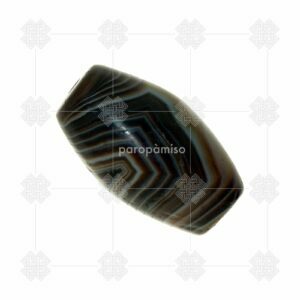 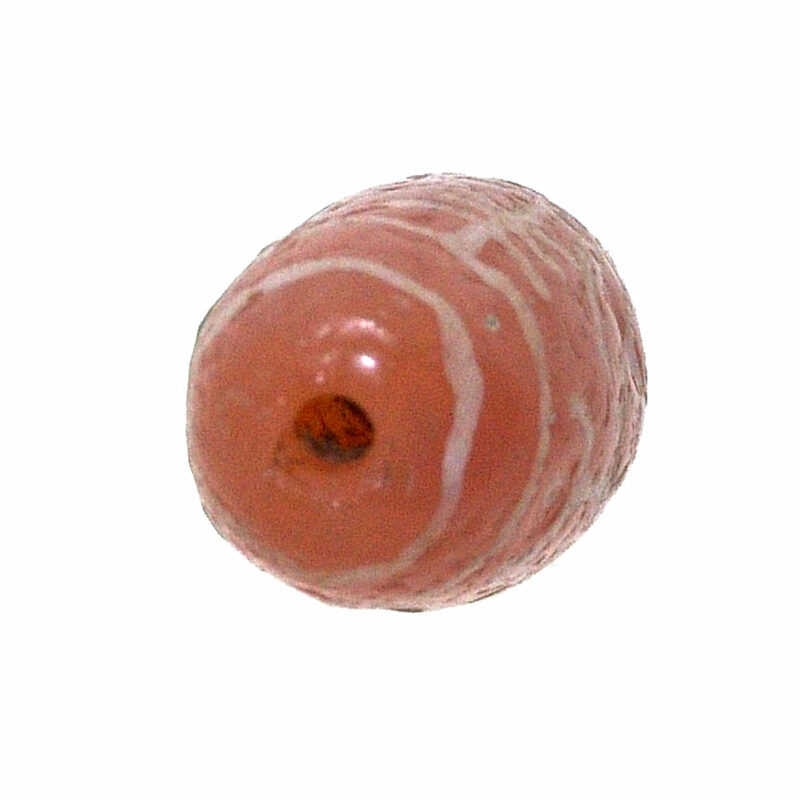 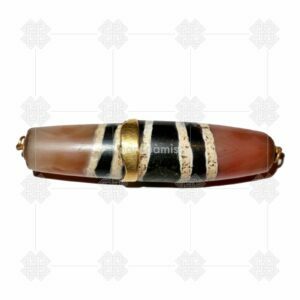 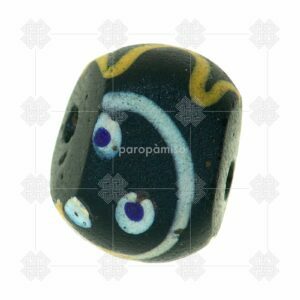 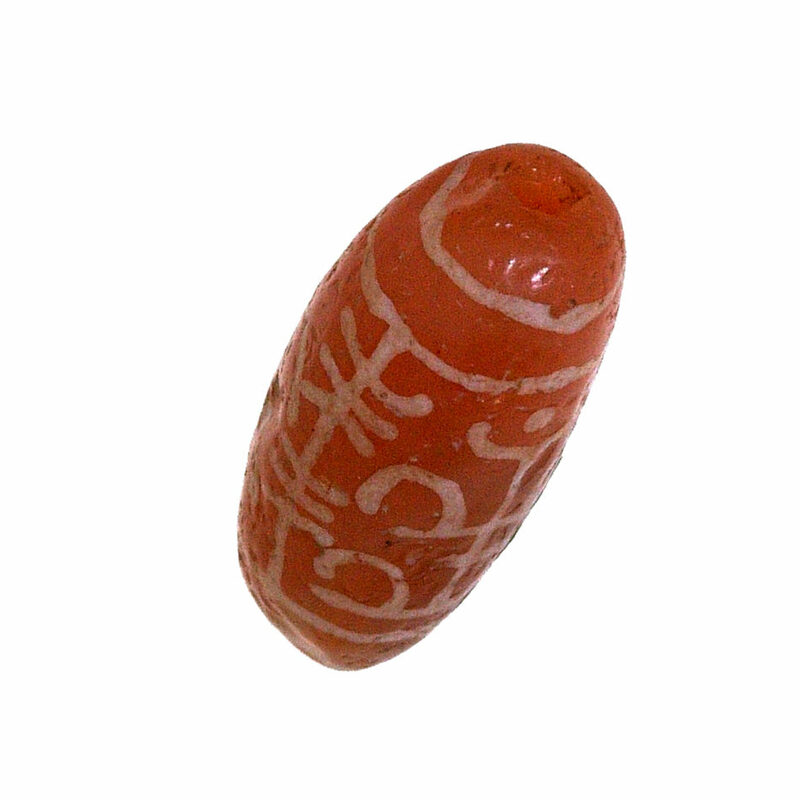 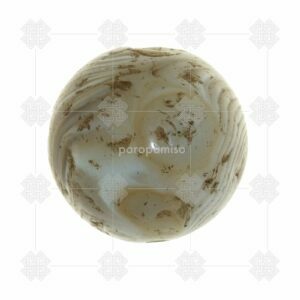 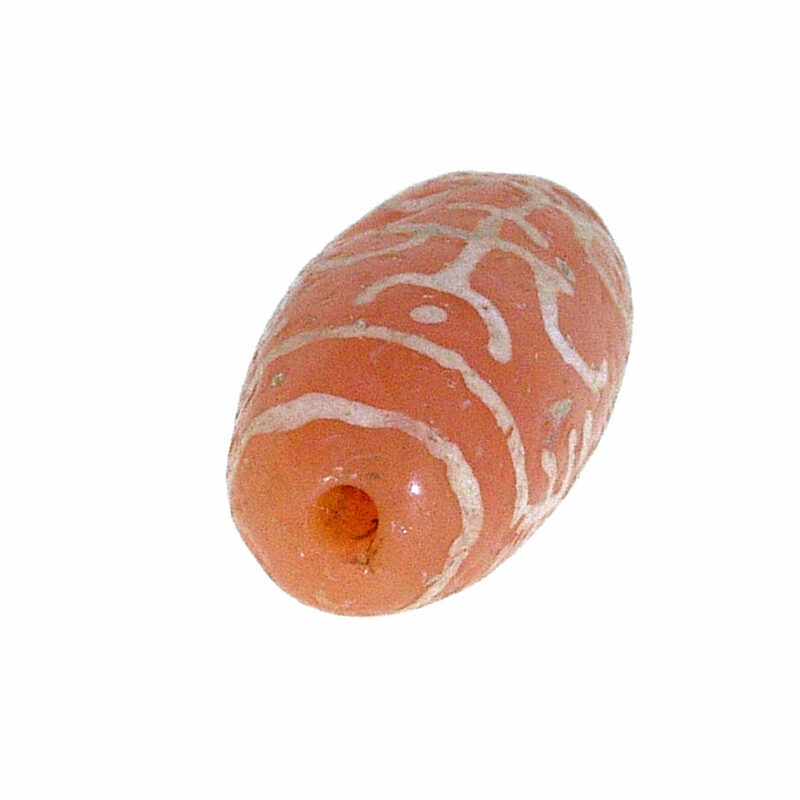 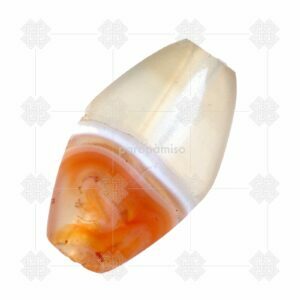 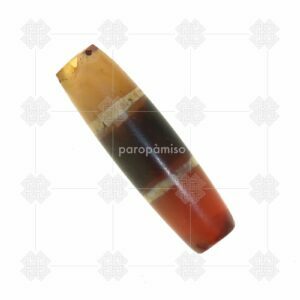 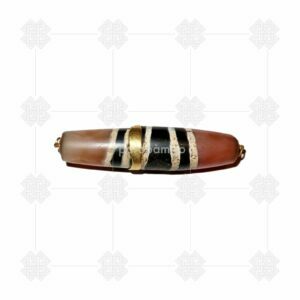 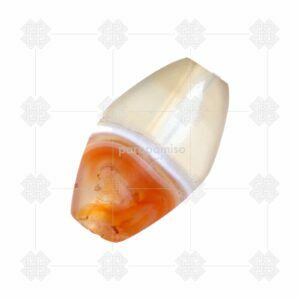 This wonderful bead in bleached carnelian is decorated by the symbol known as “tree of life”, and what could be an anthropomorfic symbol. 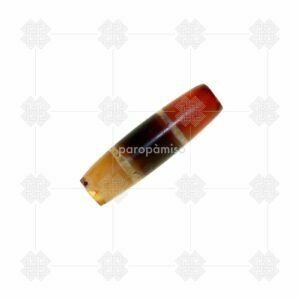 from hole to hole: 22,5mm.